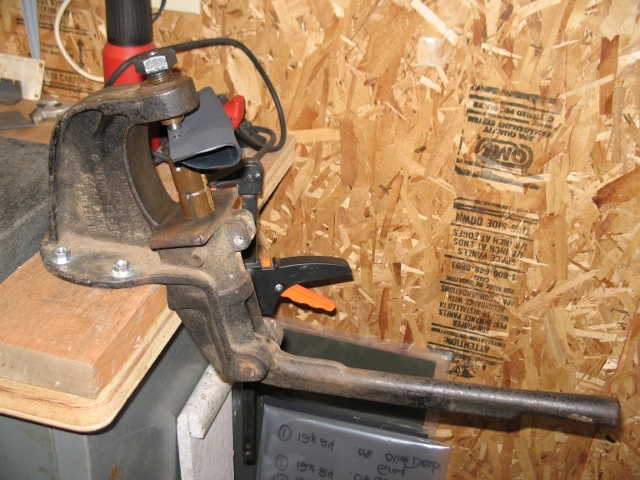 This is a more specialized vise for finishing knives. 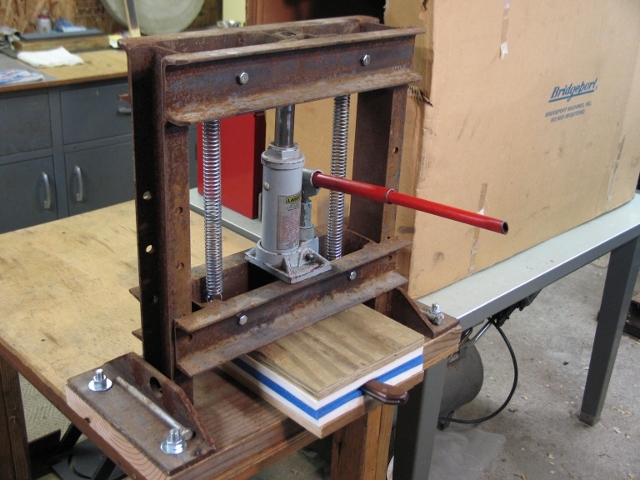 A specialized clamping jig I use at the drill press. 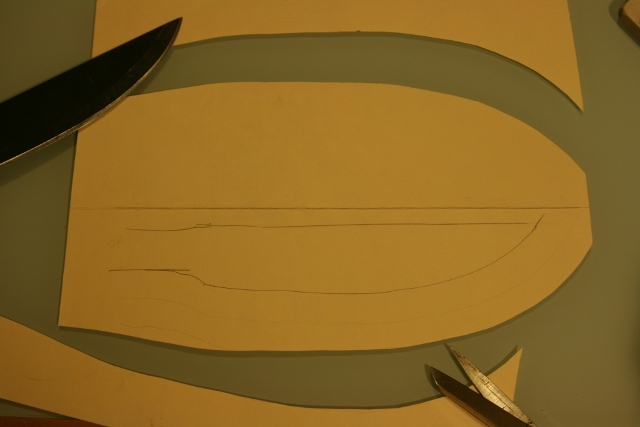 The basic steps involved when I make a partial tang knife handle. 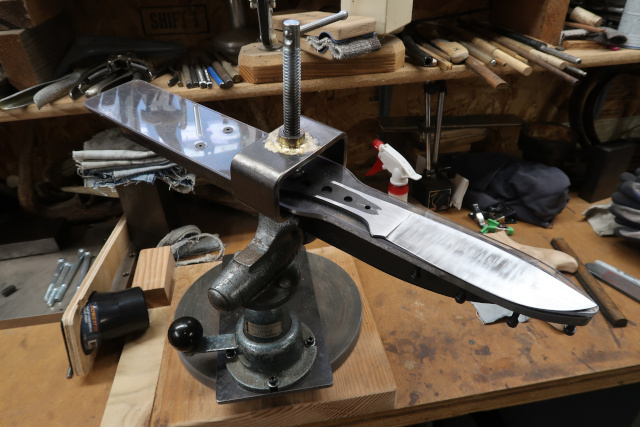 This is a description of the general steps I use when making a stock removal knife. 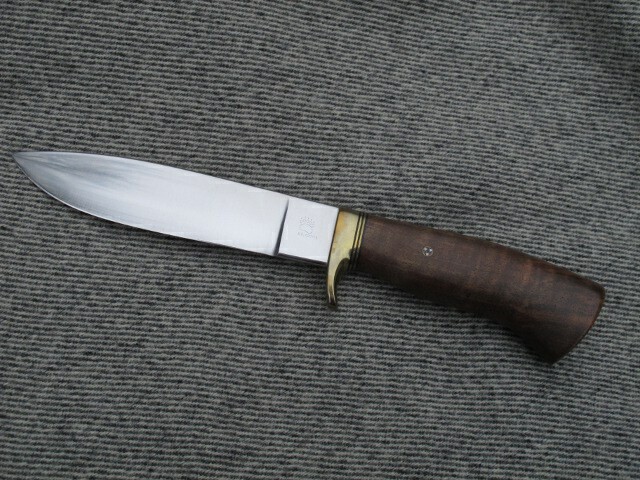 A tool for scribing the edge bevel on blades. 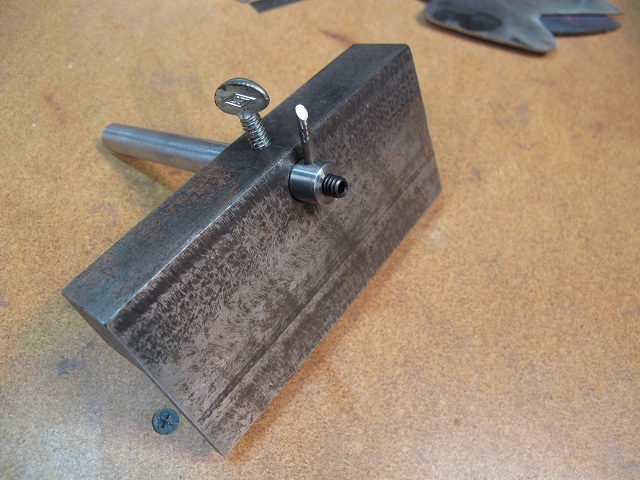 The tool I use to set the rivets on Kydex sheaths. 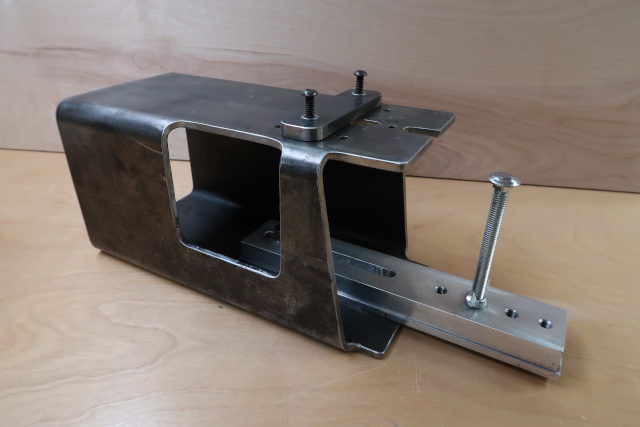 Press for heat-forming Kydex sheaths. 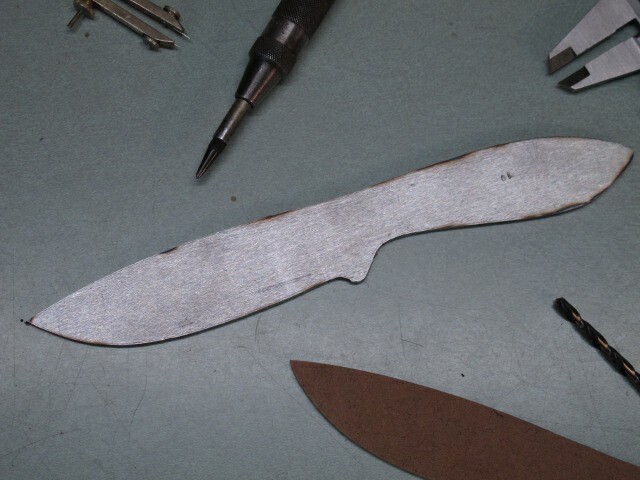 This is the process I go through when I construct a Kydex sheath. 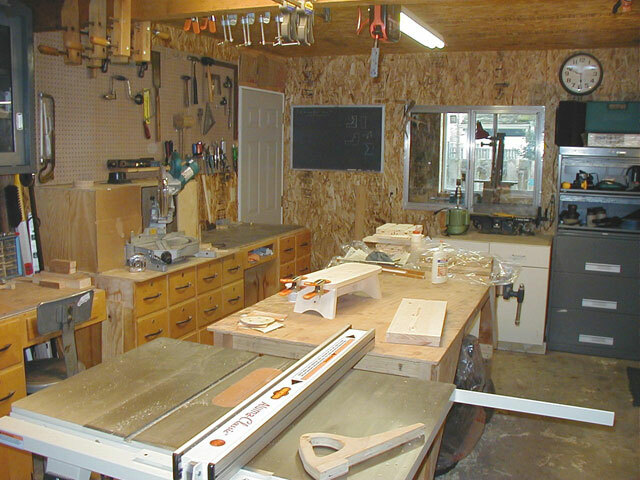 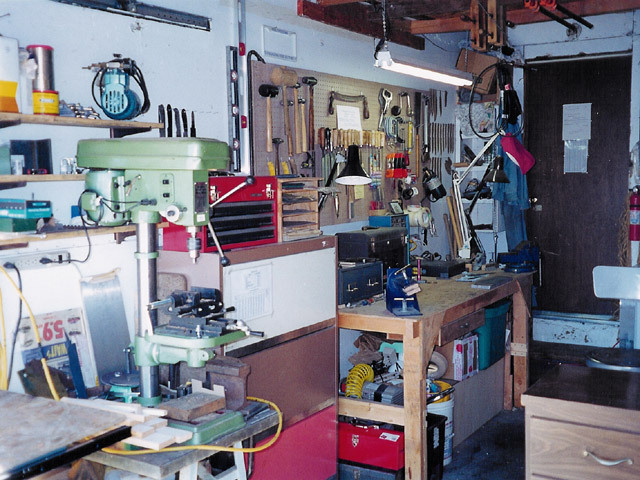 A small shop in a garage.